Barbara Still received Christ on Pensacola Beach, Florida in 1985 and met Greg and Donna Lancaster shortly thereafter. 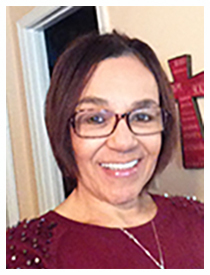 God called her into ministry in 1998 as an evangelist and almost immediately doors were opened for her to minister in prisons throughout Florida and Texas. After moving and living in Texas for twelve years, God gave her a very vivid dream showing her it was time to return to Pensacola, specifically to help support Vine Fellowship Network (VFN) at the VFN Dream Center showing her how He plans to impact many nations through VFN. She has been a member of the VFN family since 2003 and has been transformed by the Lord and enjoys being a part of what the Lord is doing within VFN.